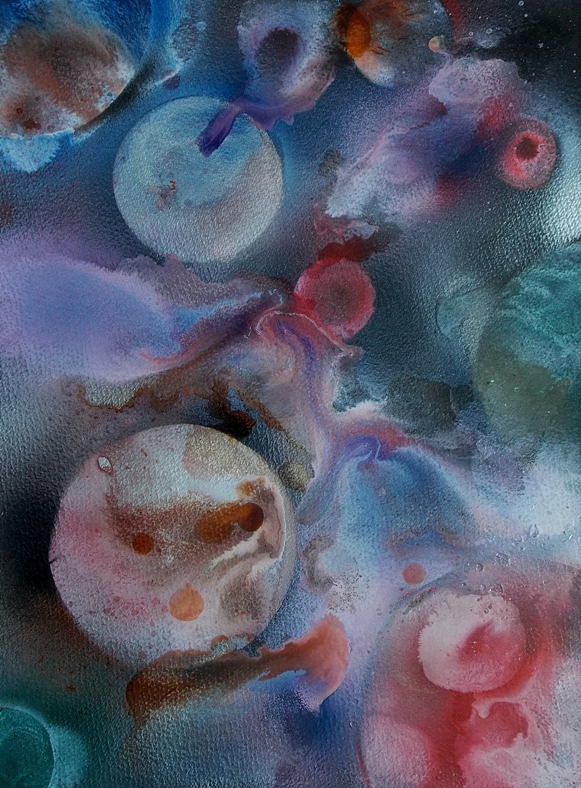 Spray paint on acrylic paper painting depicting waves travelling through space passing a variety of planets on its journey across the cosmos. 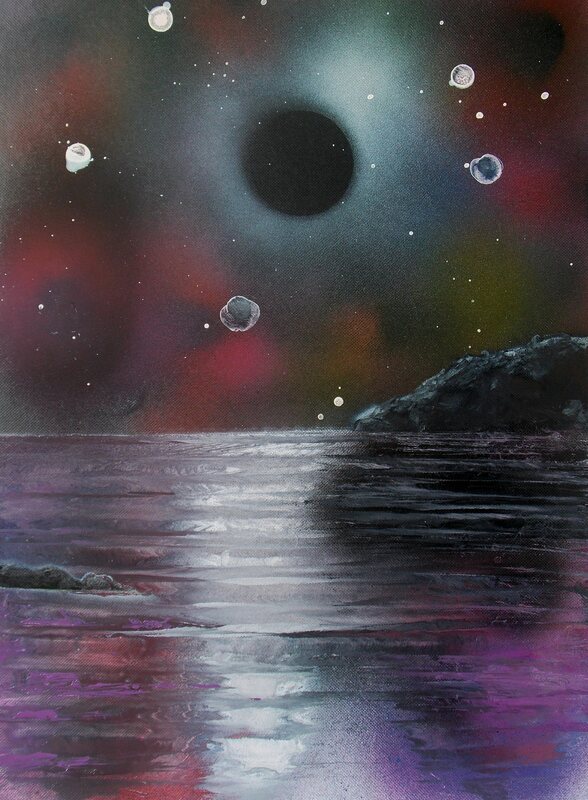 Aerosol spray paint on gloss paper painting depicting the view looking cross the cosmos at other worlds from an unearth-like planet. 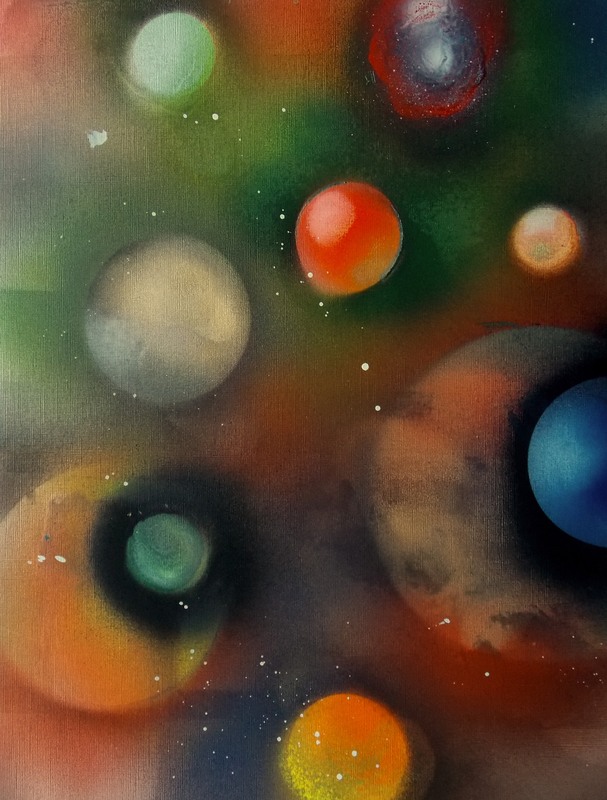 Aerosol spray paint on watercolour paper painting depicting a group of worlds evolving amongst hydrogen gas clouds within interstellar space. 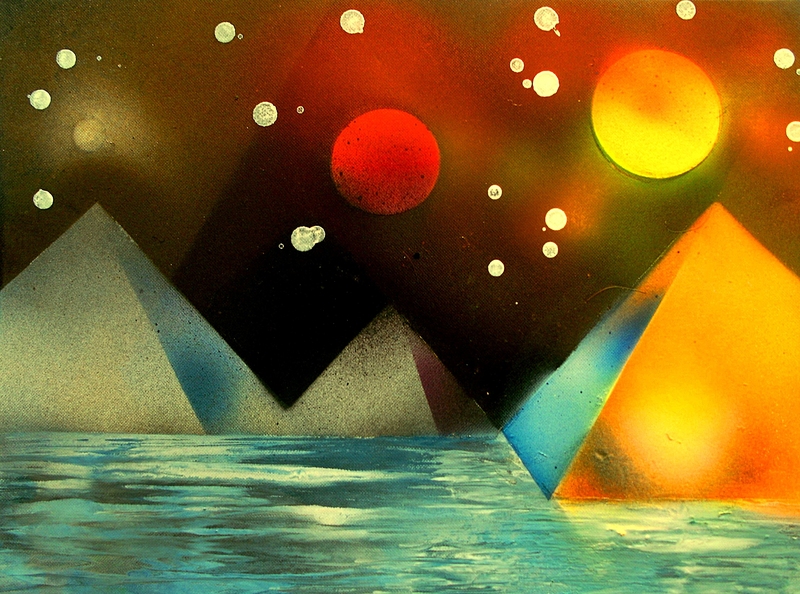 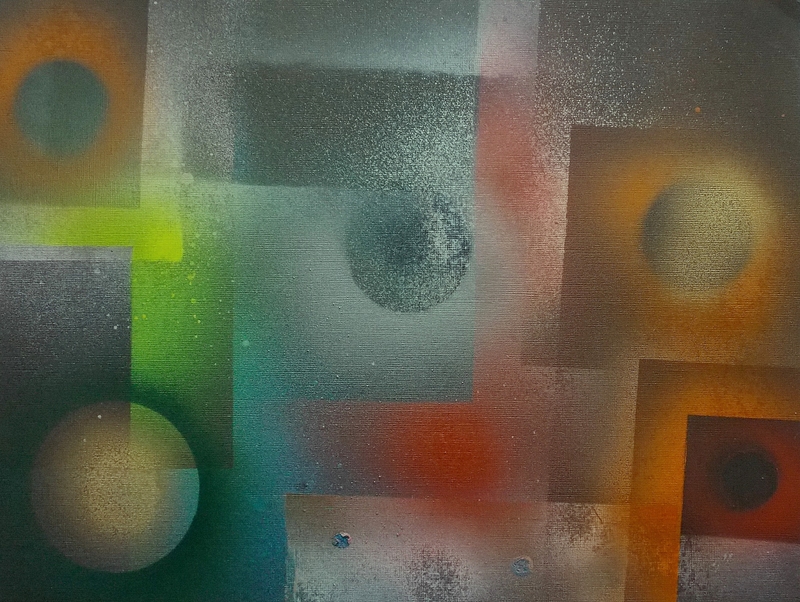 Aerosol spray paint on acrylic paper painting depicting a group of pyramids bathed in cosmic and sunlight erected by a river on some undiscovered planet.